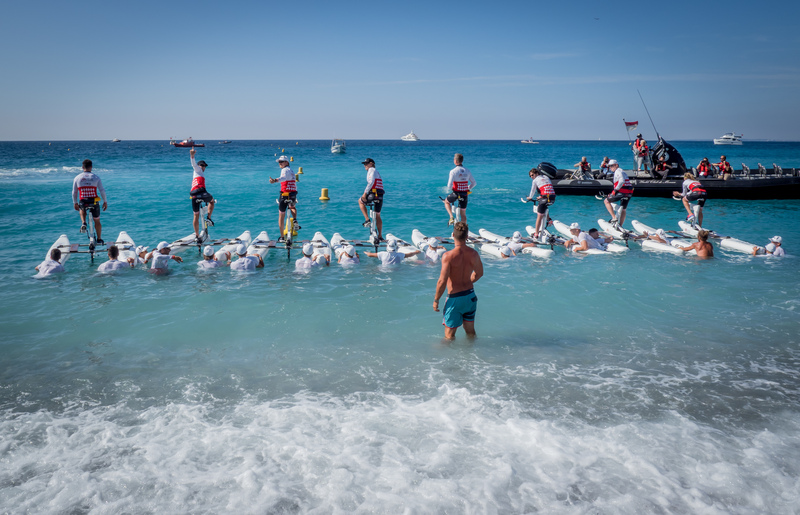 After the success of last year’s inaugural Riviera Water Bike Race, Her Serene Highness, Princess Charlene of Monaco will be hosting the second annual Riviera Water Bike Challenge this June. The Riviera Water Bike Challenge includes a mix of celebrities, athletes, Formula 1 drivers and the Prince and Princess. Competitors will race Schiller S1-C Water Bikes over a 20KM relay course between Pointe Ciappaira and the semi-floating harbour wall of the Port Hercules, Monaco. Rick Yune (Actor – USA). The proceeds of the race and the recent gala will go to the Princess Charlene Foundation, a charity for children with an interest in sports. With Princess Charlene’s help young children will receive every opportunity to make their sporting dreams come true. The gala included an auction with lots donated by supporters of the foundation and included Bono’s guitar, an original Audrey Hepburn print, a Salvator Dali sketch, sporting memorabilia and the Prince’s personal bicycle. Over one million Euros was raised at the event. To find out more about the Riviera Water Bike Challenge and Schiller Bikes please email sarrah@globalsuperyachtmarketing.com.